U2 scored Q bragging rights. 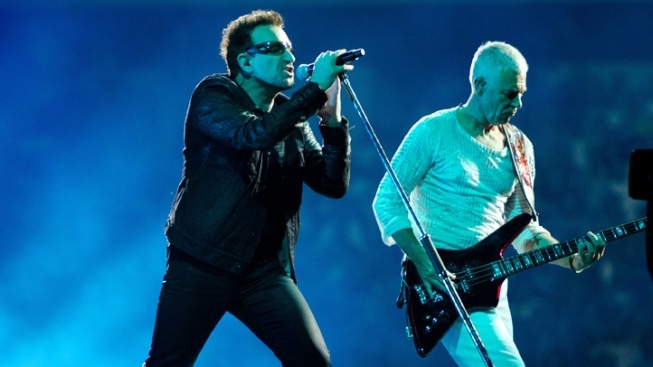 Rock icons U2 have something new to brag about — winning Q Magazine's Greatest Act of the Last 25 Years award. The annual music awards by Britain's best-selling music monthly took place Monday at London's Grosvenor House. The Irish quartet were present at the ceremony. Brian May and Roger Taylor, meanwhile, accepted entry into the Q Hall of Fame on behalf of the band Queen. U.K. singer/songwriter Adele won two awards, Best Female Artist and Best Track for her song "Rolling in the Deep." Coldplay was voted Best Band in the World at the Moment, while the U.S. Internet sensation Lana Del Ray wa s crowned the Next Big Thing. VIEW THE PHOTOS: Latina Magazine's 15 Latinas We Love!